The profession of a registered nurse offers a wide array of thriving opportunities with lucrative pay. It is a dynamic career that gives an individual chance to make huge difference in others’ life. However, it is very challenging to work in such a complex field. Therefore, registered nurse schools in Nebraska provide each and every skill to the aspirants that are required to work in the real settings. So, if you are interested in beginning a nursing career or seeking an advance course, here is the detailed information that will make you clear about all the aspects associated to nursing. The candidate should attain the age of 18 years. Every student can proceed only after clearing the drug test and criminal background check (CBC). The aspirant must be able to communicate fluently in English. The candidate must submit all the essential documents to the respective institute, in which s/he is going to take admission. It is essential to complete high school diploma. The application procedure includes a TEAS test (Test of Essential Academic Skills). An applicant should submit level one fingerprint clearance card. Associate Degree in Nursing: ADN program typically takes two years to cover an inclusive coursework of math, microbiology, physiology, anatomy, chemistry, and other general academic courses which are essential for building nursing foundation. Associate degree in nursing program is approved by the Nebraska State Board of Nursing. Bachelor of Science in Nursing: BSN degree prepares aspirants for facing the challenges and complexities of this ever changing healthcare industry. It is a four-year program that equips students with classroom instruction, laboratory experience and on-hand program in a variety of clinical settings. Accelerated BSN Degree: This pathway is designed for qualified students with a bachelor degree in other fields. It is a 12-15 months program that cultivates professional values and develops communication, leadership and decision-making skills. LPN to RN: LPN to RN bridge courses equips licensed practical nurses with additional knowledge and skills required to become a competent registered nurse. RN to BSN: RNs, who wish to complete their bachelor degree, can enroll for this course. It incorporates modern approaches and different nursing techniques which are recommended by the American Association of Colleges of Nursing. This will boost their nursing career. 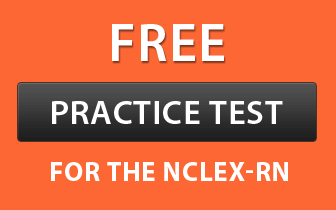 After completing any of the above nursing programs, graduates are eligible to appear for the NCLEX-RN examination.For detailed information about NCLEX-RN, visit https://www.ncsbn.org/nclex.htm. Master of Science in Nursing: Master degree program is designed for proficient nurses who wish to enrich themselves with advanced expertise, techniques and versatility in order to gain professional growth. It strengthens their base and develops the required know-how for exemplar performance which is highly demanded and expected in this sector. Doctor of Nursing Practices (DNP): It is the topmost program in nursing designed to create experts who can resolve health care problems effectually. This coursework incorporates scientific knowledge, nursing concepts and clinical practices. The candidate must complete his/her RN program from a certified institute in order to become a successful registered nurse. A list of state approved institutes is mentioned below along with their official websites and contact numbers. Note: Except Bryan College of Health Sciences and Nebraska Wesleyan University, all other institutes also offer Accelerated BSN Programs.